Anand was different from most children his age. The now eight year old suffers from autism and cerebral palsy. With his development affected, he was unable to walk or even stand by himself. It seemed he was destined to lead a life depending on others -- until V-Excel stepped in. Today, Anand is able to walk on his own. He has also started playing with toys and has even made a few friends! Anand's parents' joy knows no bounds. V-Excel was started by Dr Vasudha Prakash, and its primary aim is to create a more inclusive society. Children with special needs often feel excluded due to a number of reasons and may develop social anxiety. A major obstacle in treating development disabilities in India is the lack of knowledge and awareness about them. This is especially magnified in the case of medium- and low-income societies -- such as rural parts of India. V-Excel not only helps children with special needs, but also ensures that child's journey towards change will never be undertaken alone. With its main office in Chennai, V-Excel hosts a range of programmes to serve those in need. 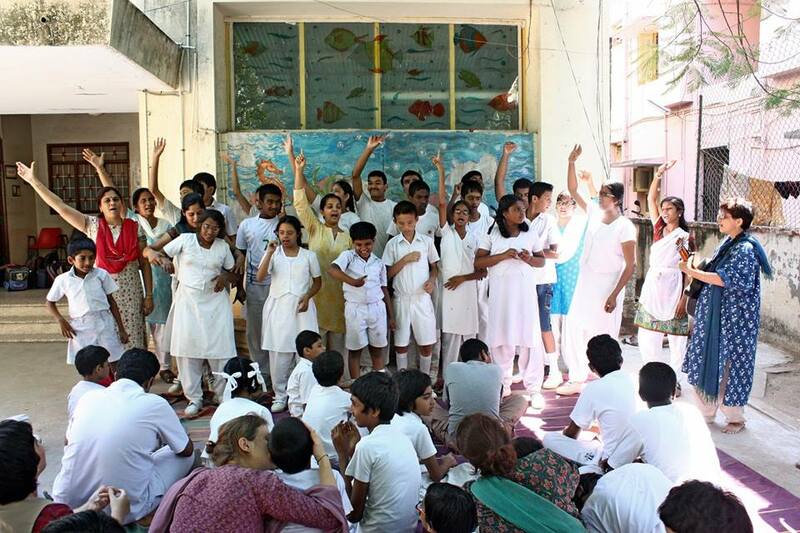 All the programmes function on the understanding that education can be a healing process. V-Excel's initiatives include clinics for assessment and counselling, early intervention programmes to help children up to seven years of age, vocational training units and youth empowerment services. One of V-Excel's pioneering initiatives is its satellite centres. At present, the centres are present in three cities -- Erode, Nashik and Tirunelveli. The centres' main aim is to provide remedial help for specially-abled children, a feature that regular schools sorely lack. These children are usually slower in exhibiting skills or "milestones", and because of a lack of knowledge and awareness of developmental disabilities, many parents wait around for the child to "catch up", instead of recognising that they need help. V-Excel's satellite centres encourage early intervention for the child. Its services include special education, speech therapy, occupational therapy, inclusive education and more. It also provides counselling services for parents and caregivers. When parents and guardians are unable to cope mentally or emotionally with taking care of a child with special needs, V-Excel steps in to help them out. Currently, around 500 children are being taken care of at the centres. Ashay Panshikar, who has long been associated with V-Excel, speaks of his experience with the organisation. "I wanted to help those in need, and V-Excel was an excellent organisation to be associated with", he says. When asked about any defining moments for him during his time with V-Excel, he says, "At the launch of one of our centres, I noticed this child. He seemed shy at first, but then he came up to me and started talking to me as if he had known me his whole life. All these children need is a lot of love and a little help, and they will be able to overcome their obstacles and come out of their shell." 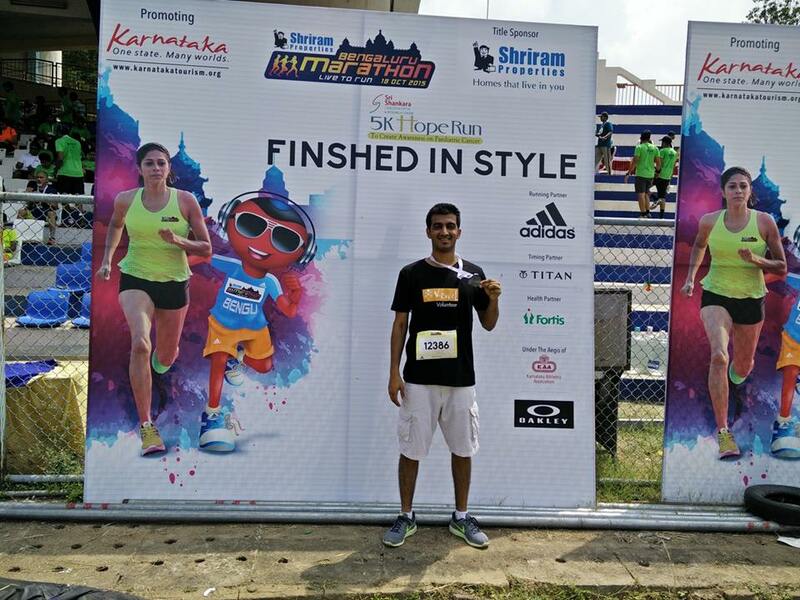 With the Bengaluru Marathon taking place last month, Ashay decided to run a fundraising campaign for V-Excel, whilst participating in the marathon. He set up a successful campaign on Milaap, through which he received widespread support. Ashay successfully finished the marathon, raising funds for V-Excel. He speaks highly of the experience he had setting up a fundraising campaign. There are still many children like Anand who need our help. By helping remarkable organisations like V-Excel - and remarkable children like Anand - we can transform our society into a truly inclusive environment.